Kids Tell Stories was a collaboration between Write CY and Eleneion Preschool over the 2016-2017 school year. At least once a month we had a morning dedicated to storytelling, including visits from guest storytellers from the community. The sessions were led in Greek and English and featured original stories and variations of traditional folk tales. This is a virtual scrapbook of our storytelling adventures. The Golden Eagle is an interactive fairytale designed to let kids practice creative problem-solving and storytelling skills. 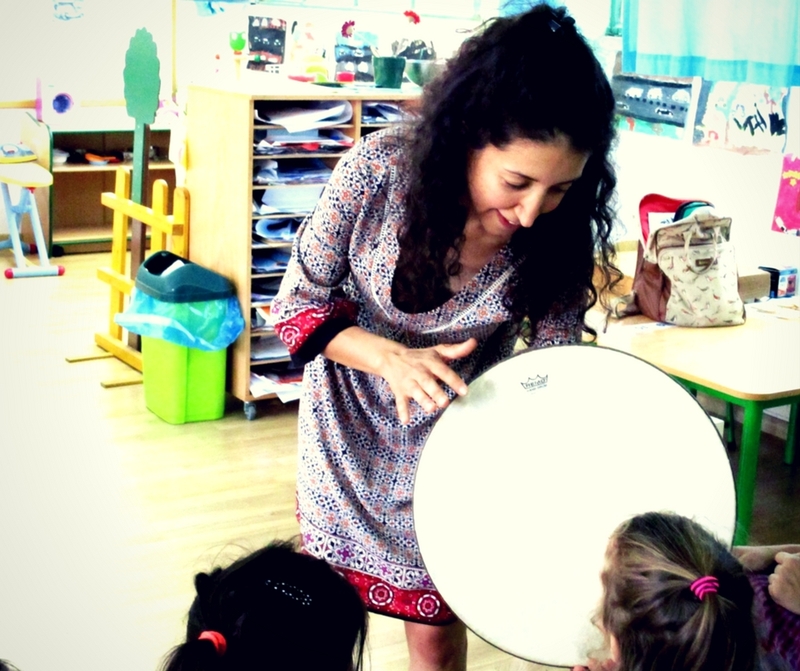 We were very fortunate to have one of the best storytellers in Cyprus make a special visit and perform it for us. Elenitsa Georgiou, who founded and directs The Majestic Music Tree, is a musician, singer and oral storyteller based out of Deftera. The storyteller meets a golden eagle who gives him a problem to solve. The eagle is tired and wants the "water of immortality" to become well again. But a giant living in a cave on a mountain has the water. So we travel to the giant’s cave. The giant doesn’t see very well and in order to light up his cave he needs a golden lock from Goldilocks who lives on a crystal mountain. To get to the crystal mountain we have to pass through a pond and the ferryman wants something in exchange, which we decide upon as a group. Once the ferryman gets what he wants, we cross the pond and climb to the top of the crystal mountain. There we meet Goldilocks inside her palace and we ask for a golden lock. But she says she can’t give it to us because an evil magician has stolen her comb. So we journey to the forest and ask the magician for the comb, but he won’t give it to us unless we bring him a swift-footed foal that runs like the wind, which belongs to Vavo Vavoula, a miserly old lady. So we visit Vavo Vavoula, but she won’t give us her foal unless we pick the lice out her hair. So we spend the whole night picking lice and fill up three whole buckets with the creepy crawlies! The old lady finally falls asleep and we take the foal from the stable. We give all the objects back to the people/creatures that asked for them and bring the water of immortality to our friend the golden eagle so that he will tell us a fairy tale. This tale is performed with musical accompaniment. It's difficult having ten legs, especially if you're a spider. Just ask Yu Yu. 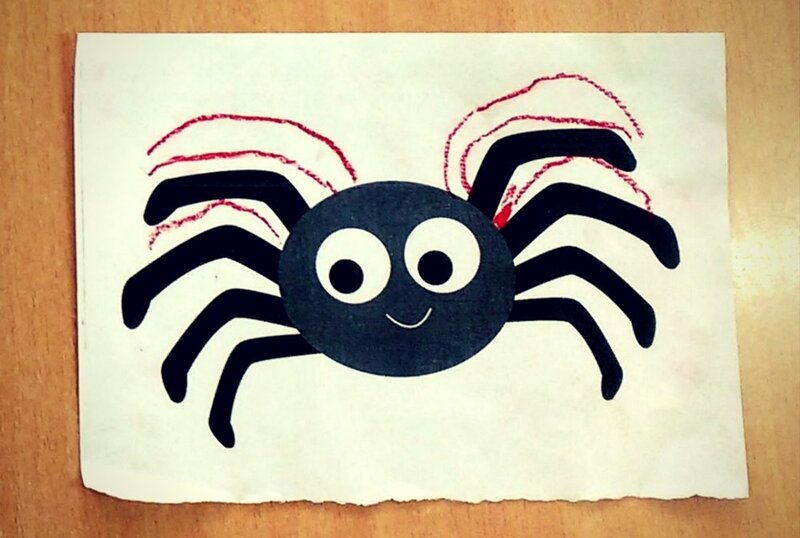 Yu Yu struggles to do anything right—from holding a pencil to playing Bug and Go Seek with the other spiderlings. And then a school field trip to the beach changes everything. 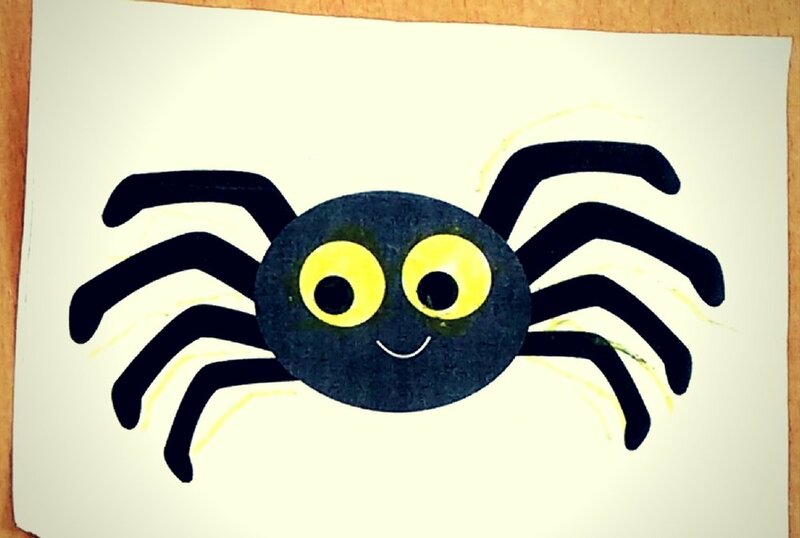 Yu Yu the Ten-Legged Spider is a story that shows kids that there's nothing wrong with being a little different. When Yu Yu was born, he surprised everyone. Especially his doctor and his parents. Yu Yu was born with ten legs. Now, that might not be a bad thing if you’re a centipede or a caterpillar, but Yu Yu was a spider and spiders all have eight legs. Yu Yu had a difficult time. When he was a baby spider, he always dropped his food on the floor because his two front legs were too close to his face and his next set of legs was too far away. When he was playing with his brothers and sisters, he usually dropped all his toys because he tried to carry ten when everyone else carried eight. A few years later, when Yu Yu was old enough to go to school, he didn’t know which leg to hold his pencil in. When he had to wash his legs like the other spiders did, he always took longer and used too much soap. Worst of all, when the other spiders were playing games like Ring Around the Bug, Yu Yu never knew which of his ten legs to use. When he tried to hide in a game of Bug or Go Seek, his long extra legs always stuck out. Everybody laughed at Yu Yu. Even Yu Yu’s teacher, Ms. Bura the ladybug spider. 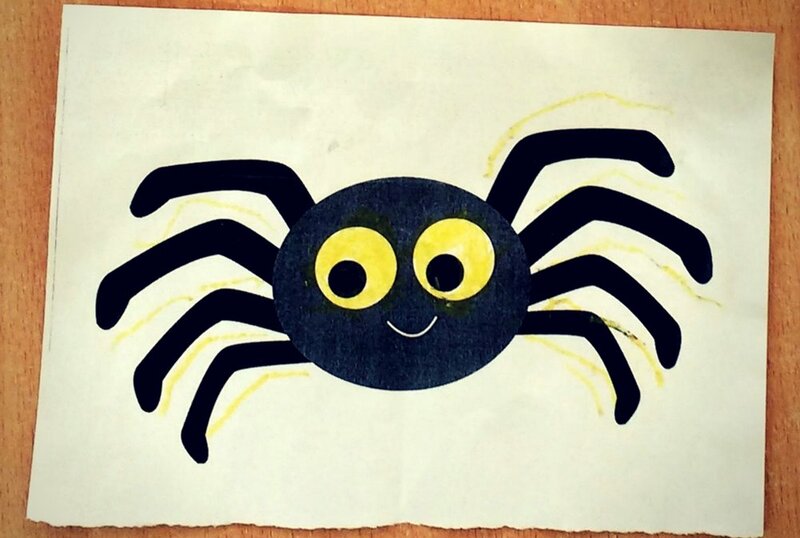 Ms. Bura had never had such a clumsy spider for a student. Yu Yu simply couldn’t do anything right. Read the rest of the story at Dragon Toothpaste Stories. Dump is an angry T-Rex with a tiny brain and hands who has made himself King of Dinosaur Land. When King Dump kicks all the other dinosaurs out of Dinosaur Land (except the dinosaurs whose names begin with—you guessed it—T) to create more jobs and food, Dinosaur Land becomes a very boring place. King Dump and the Great Dinosaur Ban is a funny, interactive story that teaches children the importance of inclusiveness and open-mindedness. Once upon a time there was a big angry dinosaur named King Dump. King Dump was a T-Rex, which meant he had a big body and a big head, but small hands and a small brain. King Dump had oodles of money because his father Dump Senior had had oodles of money. The Dumps owned restaurants and gas stations and buses and towers and hotels and golf courses, (but mainly hotels and golf courses.) King Dump made so much money that one day he decided to be king. Being a Dump, he became king. This off-beat Christmas tale exploring the non-commercial side of the holidays, father-son bonding and the value of creativity was originally read in English at the Bank of Cyprus Cultural Foundation's Book Me Festival as a 30-minute story for kids ages 5-10 with limited audience interaction. (Photos coming!) 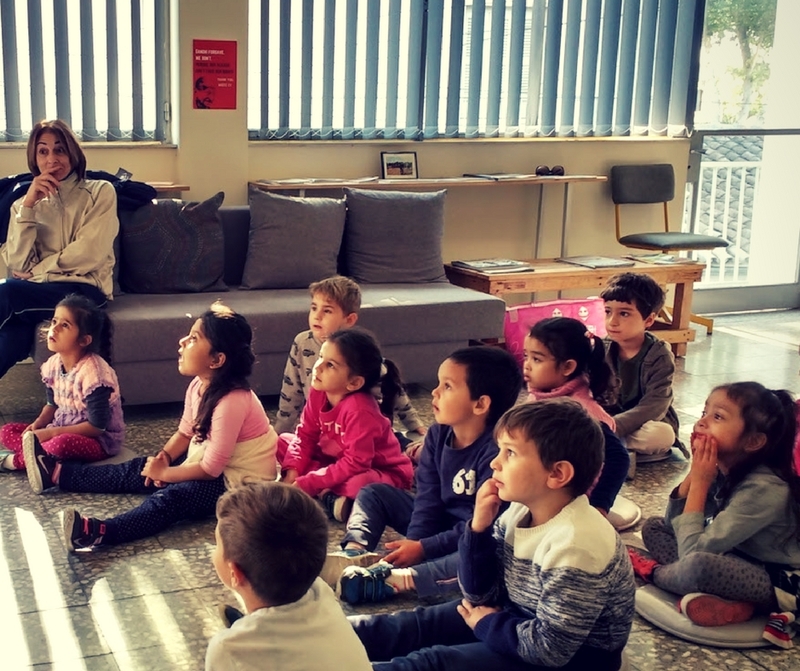 When I brought it to Eleneion, for our 3-5-year-olds, a simplified version was performed in Greek with much more participation from the kids. Because it was a day or two before Christmas and we were rushed, we didn't have much time to act out the scenes and couldn't do any drawings or create anything based on the story. This story could easily be converted into a Christmas play and makes fun Christmas bedtime reading. More adventures with Charlie Poole may be on the way. Enjoy! Charlie Poole’s father sold handmade dreams from the back of a wagon. He would load his wagon up with dreams every morning and pull it into town along the country road to sell them. If you’re wondering how Charlie Poole’s father sold dreams, it’s really as simple as that. Everyone has dreams. To travel to the deepest, darkest jungle and climb a tree and see to the end of the day. To say hello to a person you love and miss. To fly through the summer sky. Charlie’s father sold those kinds of dreams, which he made himself in his shop. Not so long ago on Christmas Eve Charlie’s father rolled his wagon into town to sell some dreams. People like to dream at Christmastime and Charlie’s family needed the money—not to buy presents, but to buy the Christmas roast. You see, Charlie’s family didn’t have a lot of money. In fact, they had very little. As usual Charlie’s father took Charlie along. Charlie was just a little older than you. They walked down the country road into town and then walked up Main Street where all the shops were. Charlie Poole’s father knew the shop owners. He knew how important they were and how busy they were around Christmastime. Most importantly, he knew they had no time for dreaming, which is exactly why he thought they could use his dreams the most. The first shop on the way belonged to tiny Mr. Toveson and his fat, little wife. The Tovesons sold toilet bowls. They had a huge showroom where they sold the nicest, shiniest, flushiest toilets in town, which they imported all the way from Italy. Charlie’s father rolled his dream wagon into the shop and up to the counter and pulled out a dream. Now, he knew that while the Tovesons were important people in town and had amassed a lot of money selling toilets, they had never gone on a honeymoon together. They had just been too busy selling toilets to waste on young love. Of course, Charlie Poole’s father knew Toveson was wrong, but he just said, “Thank you anyway for your time,” and pulled his wagon out of the shop. He gave Charlie a kiss on the head and they went to the next shop on Main Street. This shop was smaller than the Toveson's shop but it was much more colorful, and just as shiny in its own way. This colorful, sort-of-shiny shop belonged to Mr. and Mrs. Butterfield, who sold silk hats and shirts. The Butterfields brought only the finest silk from the deepest jungles of Barboa, where the silk worms hung two-feet long and only ate tapioca pudding. Their shop was filled with silks of every color imaginable: azure seas and pink sunsets, spring forests and rainy skies. There was one shirt in the middle of the shop that had once belonged to the Pope of Formosa. It was extra large and the color of a dew-covered daffodil. The Butterfields were very important townspeople and they had made so much money over the years selling silk shirts that they had built a school and a shopping center and they owned tall buildings all over town. Even so, Charlie Poole’s father knew that Mrs. Butterfield had gotten into a fight with her mother three Christmases ago and hadn’t talked to her since then. Because he was a dreamer, he also knew that Mrs. Butterfield wanted more than anything to talk to her mother again this Christmas because she missed her very much. So he put this dream on the counter, smiled and offered it to Mrs. Butterfield for only ten dollars. Mr. Butterfield took the dream, opened the door of the shop and threw it into the street. “Out,” he said, and Charlie’s dad smiled nervously and pulled the rest of his dreams out of the shop along with Charlie. He picked the dream up off the sidewalk where it lay like a bird with a broken wing, but it was ruined. He folded it in two and put it in his pocket. He kissed Charlie on the head and moved down Main Street to the last shop, which belonged to a man named Long John Statham and his wife. Long John Statham was a giant of a man and maybe a little more clever than the other shop owners, which is why Charlie Poole’s father thought that maybe, if he only said the right thing, he might actually sell Statham a dream. He had a plan too. You see, being a dreamer, Charlie Poole’s father knew that Statham and his wife, who sold golden buttons for christening suits and were even richer than the Butterfields, wanted one thing more than anything else in life. They had been dreaming for years of having a grandchild, but Statham’s only son, Statham Jr., had a button shop of his own and was too busy to have children; and even if they lived together in the same gigantic house with more expensive cars and TVs than they knew what to do with, Statham Jr. did not want a child to share it with. So Charlie Poole’s father thought he might convince Long John Statham to buy this dream. That way he’d have enough to at least buy a small chicken for Christmas. Statham, who had a very short temper, was about to knock Charlie Poole’s father on the head for wasting his time and bringing in mud, when a very important woman named Feathersby came in and asked for golden buttons for nine christening suits (six for the baby and three for the priest). Well, as you can imagine, Statham put on a smile that showed his long white teeth and took Mrs. Feathersby by the arm. He nodded at his long tall wife to shoo Charlie Poole’s father out of the shop. She pushed Charlie Poole’s father so hard that a dream or two dropped to the floor. By the time they reached the sidewalk, it was too late to do anything about them. On the way home Charlie Poole and his father passed the bakery and Charlie saw a hot buttery roll in the window and his stomach rumbled and his mouth began to water. But he didn’t say anything because he knew they didn’t have the money. This made his father even sadder, and they walked home along the country road in silence. They hadn’t been walking long when the sky darkened as if a swift, black wing had passed over it. It got a little chillier too and Charlie began to shiver. It was then that Charlie saw the man. He was approaching them from the opposite direction. He was tall and pale with long white fingers and a very thin oily moustache. He was dressed entirely in black. On his head was a very tall black hat, around his shoulders a black silk cape, and he carried an ebony walking stick which he tap-tap-tapped along the dirt road, making noises like bones rattling. Soon they had reached him, but the man did not pass Charlie Poole and his father. He stopped and asked for directions into town. He was looking for Main Street. Charlie Poole’s father thought the question very odd indeed, because everyone knew there was only one road into town and that it became Main Street. Probably, the man was from out of town. Charlie Poole’s father pointed back in the direction they’d come from. It was only a ten-minute walk, he said. They were just setting off again when a hot, buttery roll appeared in the tall man’s hand as if out of nowhere. The man offered it to Charlie. “Thank you for your help, little boy,” the man said and continued on his way. Charlie watched the man walk off as he ate the buttery roll. As soon as the man had disappeared on the horizon, a patch of blue broke threw the clouds and it warmed up a bit. The man’s name was Mr. Fulcio and he didn’t appear to be carrying anything when he offered to sell Mrs. Toveson, the Toilet Bowl Queen, a medium-sized box of nothing. “Nothing indeed,’ said Fulcio, who then explained the advantages of owning nothing, and produced a box of it as if out of thin air. It was a cardboard box not even wrapped. It had no bow, was drab and grey, and smelled of stale glue. Mr. Toveson, seeing the demonstration, scuttled over to the counter to lift the box. He turned it over. He shook the box and listened to the box like a Doctor of Boxes. He even sniffed the box. But it was just a box. “It’s just a box of nothing,” Mr. Toveson said. “But we do have the money!” howled Mrs. Toveson right back. “Of course, we do.” And she showed him five hundred dollars she kept under her apron. “Money isn’t the issue,” agreed Mr. Toveson. “Wait,” said Mr. Toveson. “I’ll give you $1000 for two boxes of nothing.” Toveson thought having two boxes of nothing would look better than just one. Fulcio smiled and produced a second box just like the first as if out of thin air and he gave both to the Tovesons, collected his money, tipped his black hat and walked down the street to the shirtmaker, Butterfield. After Fulcio explained his business to Butterfied, he produced a box of nothing even bigger than the others, but just as plain. Butterfield lifted the box. He turned it over. He shook the box and listened to the box like a Doctor of Boxes. He even sniffed the box. The Butterfields, who wore only the finest silks of Barboa, glanced at the Tovesons’ shop window where two boxes of nothing already sat. They gasped. “I’ll take five,” said Mr. Butterfield. “Six,” said Mrs. Butterfield, just in case. “We’ll take seven boxes of nothing,” agreed Mr. Butterfield, and Fulcio produced them all as if out of thin air. It cost the Butterfields $5,000 to own seven boxes of nothing, but they were happy that not only did they have more boxes of nothing in their shop window, but they had paid five times as much as stupid little Toveson had. As you can imagine, Mr. Fulcio sold Long John Statham in the shop next door twelve huge boxes of nothing and Statham put them all in his shop window so both Toveson and Butterfield could see. He had paid $10,000. It wasn’t long before the whole town bought a box of nothing—all the rich shopkeepers along Main Street, certainly, and all the families living in the town. Even the mayor himself bought a box of nothing. In fact, the mayor bought the biggest box of them all. Everyone was proud of their nothing. If one family had a box of nothing and the family next-door had two, the first family instantly regretted not having bought three boxes of nothing. Sisters and brothers fought over nothing. Grandmas and grandpas who couldn’t buy anything wished they’d been younger just so they could have bought a box of nothing. In general, everyone was so happy with their boxes of nothing that they couldn’t wait for tomorrow to open them. And Mr. Fulcio, that man in the dark black cloak and black hat with the thin, oily moustache, counted up all his money and left town. The next morning was Christmas Day and Charlie Poole and his father came back to town to see the Christmas tree all lit up. Charlie Poole’s Aunt Ruth was preparing the Christmas roast at home. Except it wasn’t a Christmas roast, it was Christmas black beans and a loaf of hard Christmas bread. They hadn’t made enough money selling dreams to even pay for a scrawny chicken. Charlie could see that his father was sad so he sang a song for him to cheer him up. It was called Sing a Song of Sixpence. Charlie was singing when he saw the town Christmas tree from a distance. It was brightly lit with as many colors as the Butterfields’ silks. The mayor was making his yearly Christmas speech. Now, it was the mayor’s speech writer who had come up with that last line, and it had sounded very good on paper, but now as the citizens stood shivering under the Christmas tree—many of whom had paid enormous sums for, well, nothing—they began to shift about on their feet. Still, none of the citizens thought to say anything about their nothing. It was Lester Morris, a young man studying law at university, who rolled his fists into a bullhorn. “Did you spend thousands of dollars on nothing?” young Lester Morris shouted out at the people with a smirk. “Nothing?” the mayor said. He was still smiling the way mayors do. “Why, of course we bought nothing.” The mayor scanned the crowds of men and women and children holding their expensive boxes of nothing. He glanced at his own very big box of nothing sitting next to him on the stage. He looked towards the shop fronts. In each stood two, three, four, five boxes of nothing. The smile fell off his face. “We have bought nothing!” the mayor gasped. It was at this point that Lester Morris, the young lawyer, jumped up onto the stage and called on the townspeople to find the stranger Fulcio and drag him back to town, tie him to a basketball hoop, cover him with honey and raisins and marshmallows and leave him like that for a month at least. And the townspeople were mad enough to waste their Christmas chasing a man who had disappeared like a bad dream in the night. Only Charlie Poole knew what to do, and he ran back to Long John Statham’s shop and began to look around. The dreams that had fallen from the wagon lay curled up outside Statham’s door covered in dust with the rest of the dirt Mrs. Statham had swept from her shop. Charlie picked them up and ran back to the Christmas tree. Charlie Poole’s father was amazed to see his son climb up onto the stage in his patched and worn Christmas suit. He was even more amazed at what he said. It was so quiet in the square you could have heard a piece of popcorn drop into the Christmas pudding. “My dream,” Charlie Poole said, “is that next Christmas you all dream a little more and not worry so much about nothing.” And with those words, Charlie Poole’s dream flew out of his fist with a gust of cool wind. It was swept high up into the frosty air and the clouds, as most dreams are, and Charlie ran back to his father, who kissed him on the head. Of course, that Christmas in the town they opened their boxes of nothing to find only more nothing inside. They had nothing for Christmas except themselves, which they found was actually even better than anything else. Certainly better than nothing. It didn’t happen then, because sometimes dreams take a little while to come true. But it happened, and by next Christmas when Charlie and his father rolled their wagon into town to sell a few more dreams to anyone that hadn’t bought one yet, the Tovesons weren’t even in their shop. They were off on the honeymoon they had never taken. The Butterfields were with Grandma Butterfield baking cookies and all sorts of good Christmas things. And Long John Statham and his long tall wife were at the park with their grandson, Statham III, rocking him in his pram singing a song. Max Sheridan has taught short fiction and storytelling workshops at European University Cyprus, the English School, the American Academy in Nicosia, the Junior School, King Richard School in Larnaca, Elenion Nursery School, and at the Bank of Cyprus Cultural Foundation's Book Me Festival. At Write CY, he teaches Story Craft, a creative writing course for adults, and Story Craft Junior, story writing basics for teens. Max's short fiction has appeared in a number of publications in the US, UK and elsewhere. His novel Dillo is available from Shotgun Honey. When he's not at Write CY, Max co-directs Storyline Creatives, where he helps other people tell their stories. Talk to Max at max@writecy.com. 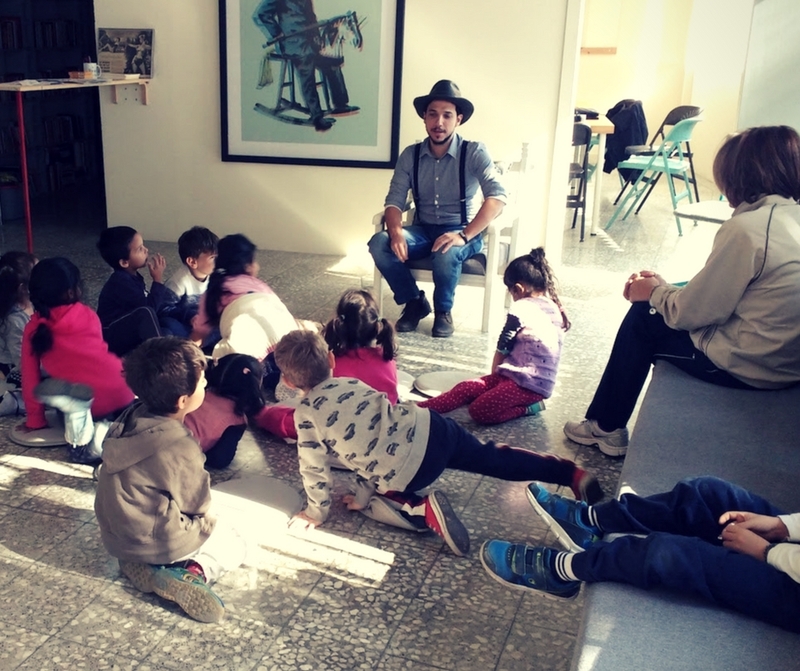 This week we had folk storyteller Stavrinos Kyriakou in telling the kids three really fun Cypriot tales in his inimitable Cypriot: The Cobbler and the Elves, The Gigantic Raddish, and Peter and the Kalikantzari. If you remember Emil the Dragon Who Only Used Peppermint Toothpaste from the last workshop, this time we found Emil's best friend, Michalis the Squirrel, who has a special problem all his own. Michalis lives on the edge of the deep dark woods in an oak tree. Christmas is coming. Every year Michalis and Emil decorate Michalis' Christmas tree with lollipops, but this year Emil doesn't have any. The only place to get the lollipops in time for Christmas is the Lollipop Tree on the other side of the deep dark woods. And this is where the real trouble begins for Michalis in the interactive storytelling adventure Michalis and the Lollipop Tree. 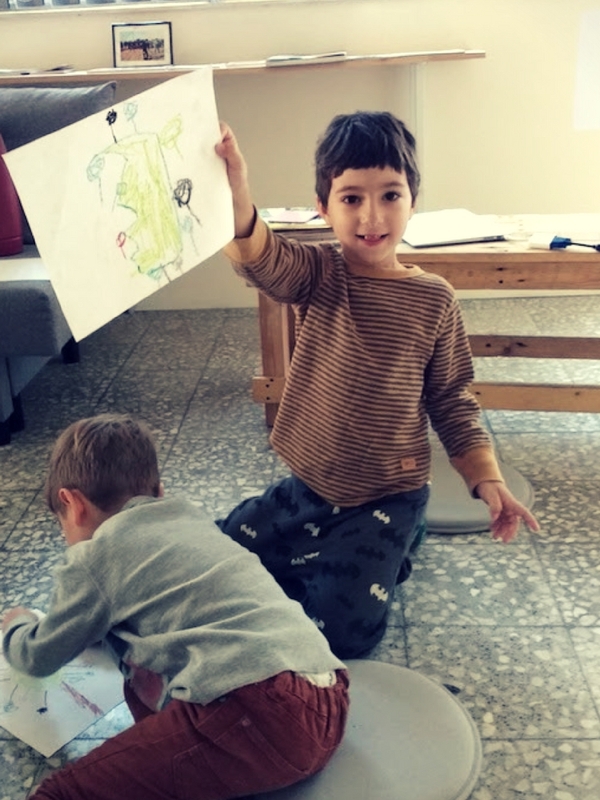 This was a kenetic storytelling session where the kids actually went through all of Michalis' movements: standing, running, sleeping, etc. 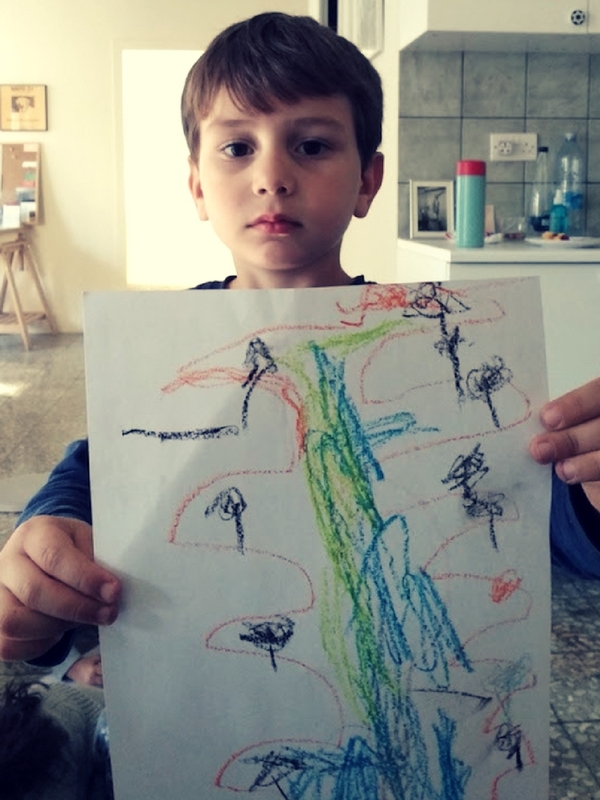 I guided them to only two elements in the narrative: the squirrel and the lollipop tree. The obstacles they came up with by themselves. We set off through the woods together with Michalis, walking alongside him at a leisurely pace. It isn't long before we find our first obstacle...a sleeping wolf. We carefully tiptoe around the wolf, making sure not to wake him. When we've covered a little distance, we run! Not long after we escape the sleeping wolf (whose favorite snack is squirrels), we find a house. We knock and open the door. Inside, we find a bunny rabbit, who offers us each a carrot. Good thing, because we're pretty hungry from walking. We take our carrots, thank the bunny and walk on, having passed our second obstacle. It's already afternoon and the sun is sinking. We walk a little faster. It isn't long before we find a crying bird high up on a tree brach, our last obstacle before the Lollipop Tree. The bird is hungry. It's a good thing Michalis is a squirrel and always carries acorns with him for snacks. We reach into our pockets and give her one acorn apiece, and set back off on our way. Soon we can see the Lollipop Tree in the distance! The Lollipop Tree is surrounded by a carpet of luxuriant green grass and the colored lollipops—all the colors of the rainbow—are sparkling like stained glass on its branches. We fill our pockets with ten lollipops each and then lie down to take a nap. By then night has fallen and it's chilly. We curl up, dreaming of lollipops. When we wake, it's morning. Now we really want to get back to the oak tree at the edge of the deep dark woods, so we run. Back to the crying bird. We give her another acorn. Back to the rabbit in the house. We eat another carrot and thank the rabbit. Back to the sleeping wolf. We tiptoe quietly around him. Soon we reach the acorn tree and Emil the Dragon. Emil has already set up the Christmas tree for Michalis. What do we do know? We decorate the tree with lollipops! Here are some of our trees. Next week: Writer and folk storyteller Stavrinos Kyriakou will be leading the next storytelling session on 24 November, 2016! The Dragon Who Only Used Peppermint Toothpaste is a story that started in the car on the way to school. Stuck in traffic, and tired of listening to Moon Dog's Pigmy Pig on a loop—my three-year-old daughter's favorite song for about a year—I started telling stories. When a story worked, I'd tell it again and again, until I got it right. The Dragon Who Only Used Peppermint Toothpaste is about a friendly dragon named Emil who has the nicest, sparkliest teeth in the city—all because he loves peppermint toothpaste so much he can't stop brushing his teeth. Emil's teeth are so beautiful that he has his own toothpaste commercial on TV. But one day he goes to the store to get his usual few dozen tubes of peppermint toothpaste to brush his huge dragon teeth...and discovers they're all out. This sends Emil into a rage and then a funk that lasts several weeks, until he realizes that brushing his teeth with peppermint toothpaste isn't the only thing that matters in life. Scroll down for the full story in English (coming soon in Cypriot!) and some photos of our first workshop. To see the kids in action today was a thing of joy, and I am in awe of the enthusiasm and cleverness of the teaching that happened alongside the storytelling. Once upon a time there was a dragon named Emil. Emil was a special dragon. But wait, I know what you’re thinking. He wasn’t huge or ugly, or cute or cuddly. He didn’t have big dragon feet or breathe fire and burn down houses and trees and cupcakes. He didn’t even eat children. Emil the Dragon had lovely teeth. Emil had the whitest, shiniest, sparkliest teeth in the whole city, and he was very proud of them. On a cloudy day, Emil’s teeth shined brighter than the sun. If you were driving by in an airplane, you could see them sparkling from the window. But that wasn’t even the truly wonderful thing about Emil’s teeth. The truly wonderful thing about Emil’s teeth was that they smelled of fresh peppermint. And that was because Emil brushed his teeth every day. With his favorite tooth brush and his favorite toothpaste, which was, of course, peppermint-flavored. Emil’s teeth were so white and shiny and minty that he was on TV. Emil had his own TV commercial for peppermint toothpaste. He worked for a man named B.B. Robeson, who made all the best toothpastes. Emil’s commercial was on every day at noon, and Emil always made sure to be home to watch it while he was eating his lunch. Emil loved his life and he loved his teeth, but he loved his peppermint toothpaste more than anything. Do you know how many tubes of toothpaste a dragon needs to brush his teeth? Do you even know how big a tube of dragon toothpaste is? At least 12 tubes per day. And tubes this big. So Emil went to the toothpaste store every Wednesday morning to buy his tubes of peppermint toothpaste for the week. One Wednesday when Emil was shopping for his toothpaste, a very horrible, very confusing, very scary thing happened to him. They had run out of peppermint toothpaste! Emil asked the man at the counter once, twice and then three times, and the man told him once, twice and then three times: they were out of peppermint toothpaste. Emil didn’t know what to do. He was sad, but angry too, and he wanted to do something naughty, so he swung his tail. Then he tried to breathe fire, but only managed to burn his lips. He shouted at the man and generally acted like a big baby, and then he went home without any toothpaste and went to bed. Emil stayed in bed for three days, feeling sorry for himself. He didn’t brush his teeth and he didn’t eat his dinner or his breakfast. His beautiful teeth lost their shine. They didn’t smell of fresh mint either. So he kept his mouth closed, even when he was looking at himself in the mirror. When his mother called on the phone, he didn’t answer. When she brought chocolate chip cookies for him to eat, he pretended not to hear her knocking. Soon Emil lost his job on TV because his teeth were no longer the whitest, sparkliest, mintiest teeth in the city. Actually, they were the dirtiest teeth in the city because Emil had stopped brushing without his peppermint toothpaste. Another week passed and finally Emil got out of bed because he was too hungry to stay there. He felt horrible. He thought his teeth were going to fall out of his head because he hadn’t brushed them in such a long time. He wanted to cry. But because he was so hungry, Emil ate a bowl of cereal instead. And turned on the TV. While he was eating his cereal, a very strange thing happened. He saw a girl dragon on TV. A girl dragon on his commercial! And she had the most beautiful teeth Emil had ever seen. Actually, she was the most beautiful dragon he had ever seen. And even stranger—she wasn’t brushing her teeth with peppermint toothpaste in the commercial. She was brushing her teeth with watermelon macaroni toothpaste, the newest flavor from B.B. Robeson. He took the bus to B.B. Robeson and walked into the office—and there she was. Her name was Celia and she was even more beautiful in person. Emil was too afraid to talk to Celia with his dirty teeth, so he ran down the street to the toothpaste store and bought 12 tubes of watermelon macaroni toothpaste, and went home to try them. At first, he didn’t like it. It didn’t taste like peppermint. It didn’t tingle like peppermint. Basically, it didn’t feel like peppermint. But after a few brushes back and forth, Emil began to actually like the taste of watermelon macaroni toothpaste. It was actually refreshing and fruity and wonderful. He liked it, he really did. Emil ran to the toothpaste store and bought 12 more tubes of watermelon macaroni toothpaste, 12 tubes of avocado banana toothpaste, 12 tubes of chocolate ice cream grasshopper toothpaste, 12 tubes of orange juice souvlaki toothpaste and one big tube of louvi lounza toothpaste. When he looked on the shelf for his old favorite—peppermint toothpaste—he still couldn’t find it. But he didn’t care anymore. He had so many new toothpastes to try! For the next few days, Emil just brushed his teeth and watched the commercial of the pretty girl dragon on TV. And then one cloudy day after he brushed his teeth with chocolate ice cream grasshopper toothpaste, he put on his nice pants and nice shirt and combed his hair and brushed his teeth one more time, and he went back to B.B. Robeson to ask the pretty dragon to go on a date. And he was sad, but he understood. You can’t be impatient. Some things you have to wait for. People change their minds. And so he waited another week and went back again. And this time she said yes. And they lived happily ever after, Emil and Celia, the dragons with the whitest, sparkliest, chocolate ice cream avocado banana louvi lounza grasshoppiest teeth in the whole city. Write CY is a Nicosia-based platform for creative writing and community storytelling. We're passionate about opening up the creative writing experience to the public.